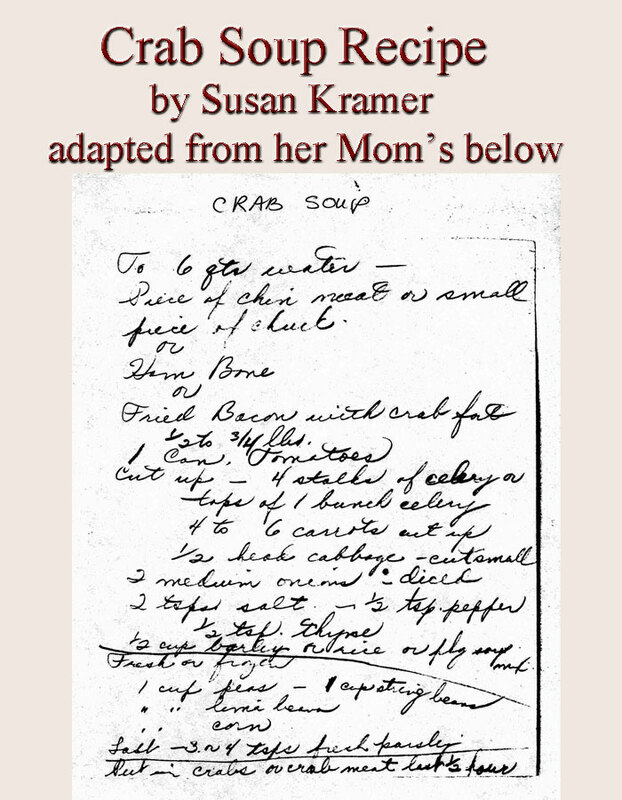 When I was a child, my mother would make this crab soup during the summer when we were having lots of relatives visiting – we caught the crabs off the pier in front of our house on the Magothy River. 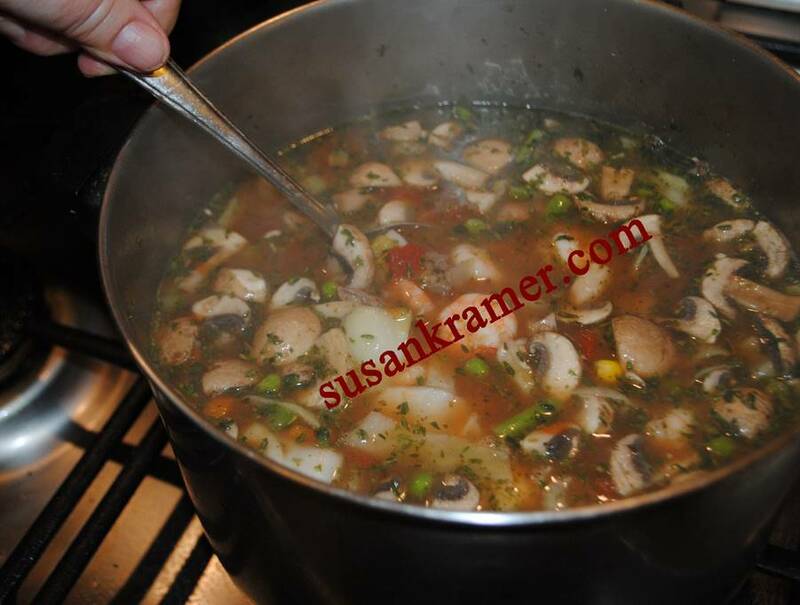 In my version in the photo of the pot of crab soup I used 6 cups of water instead of the 6 quarts my mother used. She cooked hers in our dark blue enamel crab pot, mine is cooked in my 4 quart Revere Ware that I've had since the 1960s. 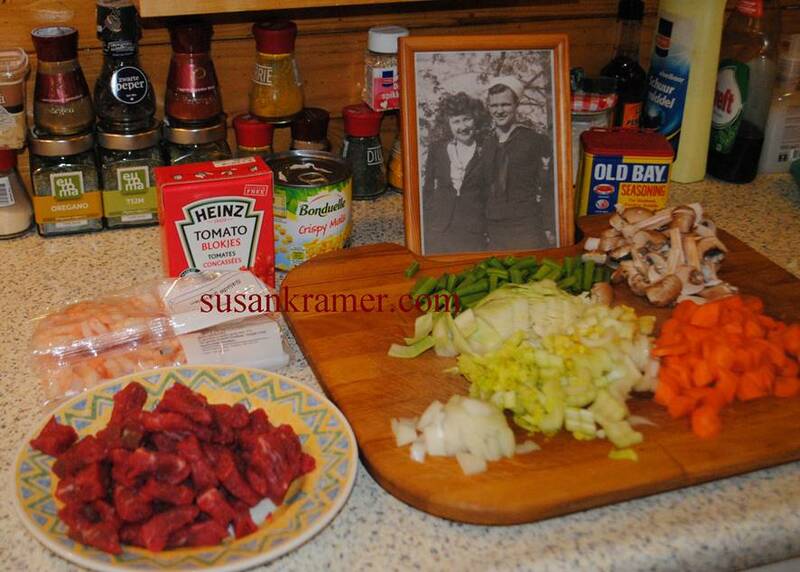 First I'll show the photos of the ingredients, cooked soup, and photo of recipe, then I'll type out the recipe below. The photo is my mom and dad. To 6 quarts of water add a chin meat or small piece of chuck, or ham bone, or fried bacon with crab for ½ to ¾ lbs. ½ cup dry barley or rice or pkg of soup mix. Last, 3 or 4 tsps of fresh parsley. Put in crabs or crab meat last ½ hour. Note: add in Old Bay Seafood Seasoning to taste if using crab meat. If adding in steamed crab pieces or claws, they probably have enough hot seasoning for the soup.